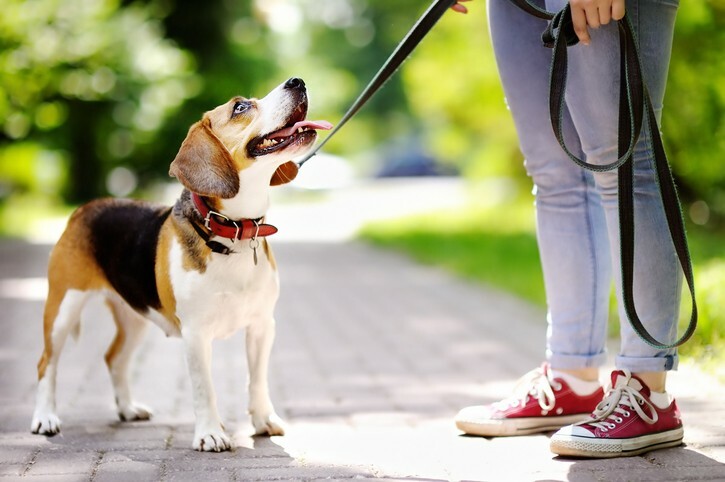 When it comes to training our dogs, the focus tends to be on those all-important obedience skills we use in our everyday interactions with our canine companions. Yet, although these skills are important for the management and enrichment of our dogs' lives, how often do we think about training our dogs to be emotionally resilient? Emotionally resilient dogs are more likely to avoid long-term behavioural problems and tend to bounce back quicker from negative experiences. They are more relaxed in new environments and willing to explore. They are more confident interacting with others and better able to adapt to change in their daily lives. They are the kind of dogs who are quite happy to say hello to everyone in the pub at Sunday lunch, remain nonchalant in a play park full of screaming children and are un-phased by the over a boisterous dog in the park. In summary, they are better able to cope with whatever life throws at them. To some extent, your dog’s level of confidence will depend on their genetics and overall temperament combined with their early life experiences as a young puppy. However, this does not mean you can’t build confidence in more nervous dogs it just takes a little bit more time and patience. 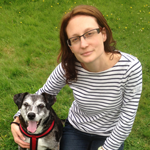 To start with one of the most important things is to build your dogs trust in you. You need to become your dogs advocate so that your dog can always rely on you to keep them safe. This means always being positive, consistent and predictable in the way you interact with your dog and avoiding situations that cause them anxiety. To achieve this in your training, make sure you avoid any punishment as this does not tell your dog what you want them to do and will decrease their confidence. Keep all rules the same across all family members to avoid any anxiety and confusion. Plus keep your responses to your dog’s actions predictable e.g. don’t suddenly get annoyed about things your dog has always done! Being safe and predictable may sound boring but it’s one of the best ways to create a high level of trust between you and your dog. On the other hand, if your dog is too dependent on you and struggles when you are not around it may be of benefit to teach them to be a little more independent. If your dog has to follow you to the toilet every time then you probably need to instill a little bit of distance in your relationship. Don’t let your dog follow you everywhere all the time. Also, try not to give your dog attention every time they ask for it. Wait until they are settled on their own and then give them a bit of fuss. This will teach your dog that attention isn’t always available on demand and attention is given on your terms when they are settled on their own. Build in a tolerance to periods of separation by waiting until your dog is settled with a chew or food toy in their bed and see if you can leave the room for a few minutes without your dog getting up (for puppies and less independent dogs you will need to remain in sight, to begin with). Start by leaving the door open, to begin with. However, if your dog follows you, lead them back to their bed, distract them with a food toy or chew and try again but this time return almost immediately. Keep repeating this until your dog shows no interest in you leaving the room. Then increase the time left gradually until you can leave your dog for at least half an hour without them becoming distressed. Start to close the door for short periods when you leave, again building this up to half an hour without causing your dog distress. Once you are at this point, your dog should be able to cope much better at being left on their own. Now you have established yourself as a trustworthy human without allowing your dog to be too dependent start by introducing your dog to new experiences in a positive way. One way to do this would be to introduce your dog to new surfaces, smells or activities whilst using some positive reinforcement as a reward (such as a treat or a game with a toy). Another great confidence booster is to take part in training activities that involve teamwork such as scent work games or agility. During scent work your dog will look to you for direction but also will learn to move away and search different places. There are lots of different groups, courses and books on scent work games that you can do with your dog that you can easily begin at home. Agility is another fun way to increase your dog’s confidence by introducing your dog to challenging experiences such as walking across beams, going through tunnels and performing jumps. Some parks even have outdoor logs, tunnels and beams which you can use for free during your regular walks. Wobble boards and other fitness equipment are another low-cost way of introducing your dog to something new. Why not see if your dog can balance their paws on a wobble board or even jump through a hoop? If you introduce your dog to new experiences in a positive way then your dog will learn that new experiences are something to be enjoyed rather than feared. The more positive experiences your dog has, the more you will see their confidence will grow.